Seated VIP ticket holders have a reserved seat for the event; no table. Before the ball drops and the confetti falls at midnight, get to Baltimore’s Stalking Horse for New Year’s Eve bash that’ll rock your world. This bar is a local crowd-pleaser, and this NYE they’re throwing one of the best parties on Federal Hill. Get in the mood to celebrate all night long with five hours of cocktails from the premium open bar, along with a fabulous selection of tasty snacks for you to enjoy, at any of the bars on either floor of the lounge. Two live DJ’s are ready to help you work up a sweat on the dance floors with a set list of heart-pumping house, Top 40, and hip hop mixes. As the clock strikes midnight, keep the party going with a complimentary champagne toast to ring in the New Year. Stalking Horse is a fully-stocked social club on Federal Hill that’s been a favorite of locals and newcomers since 2007. With its multiple bars, exposed brick walls with reclaimed wood accents and massive nine-foot wooden American flag installment, Stalking Horse adds a trendy twist to the modern sports bar aesthetic that you’re gonna love. Avoid the year-end FOMO and get to a bar with a reputation for throwing dynamic events. 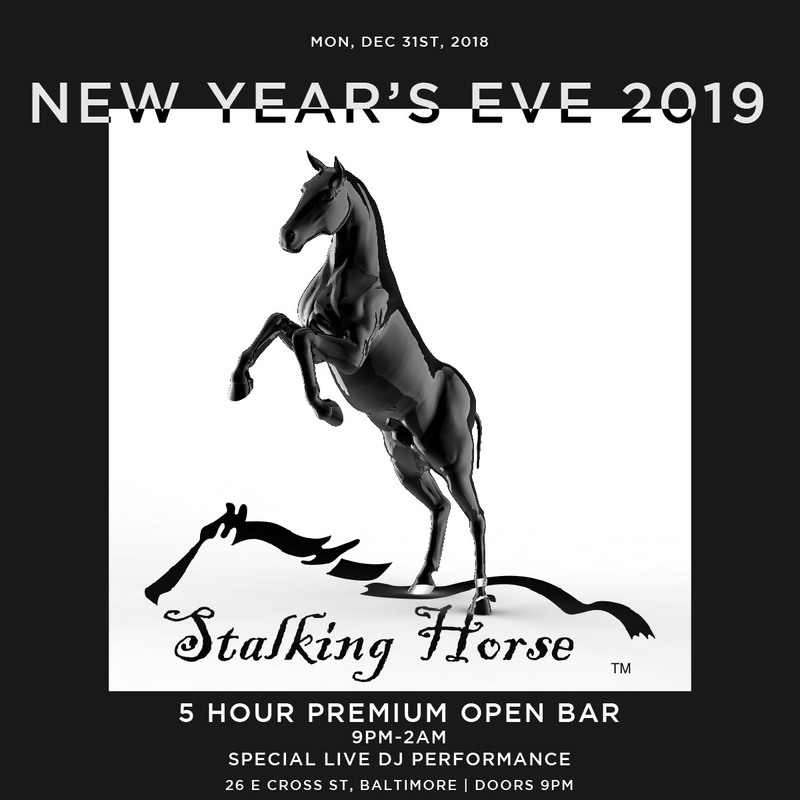 Snag your tickets now to groove into the New Year with Stalking Horse. Newyearsevecentral.com is the premier producer of global events. Need help selecting the right party? © 2019 Newyearsevecentral.com™ All rights reserved.